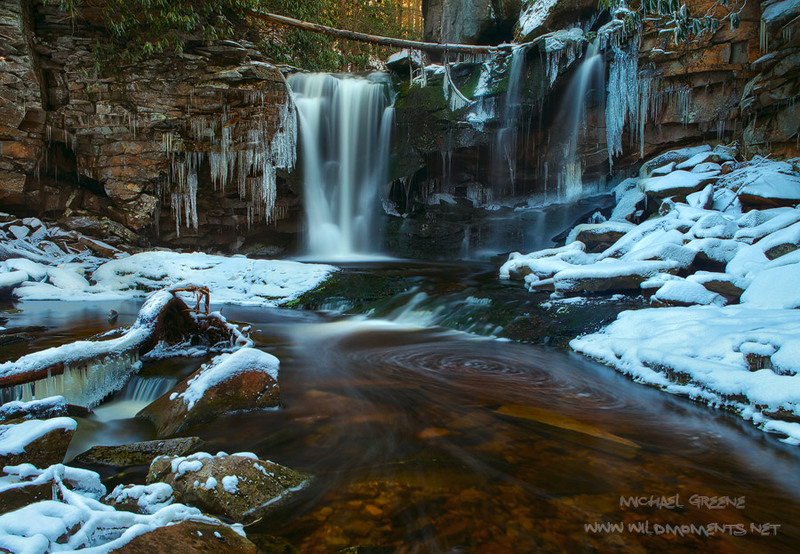 A cold, shady, winter afternoon near Davis, WV at Elakala Falls captured after a fresh snowfall. This was the scene after about 72 hours of sub-freezing temperatures, which were precluded by 60 degree weather. The result: a peaceful mix of water, ice, and snow. Photo © copyright by Michael Greene.